Congratulations to the Students, Teachers and Respected Principal Ms. Shilpa Bhatnagar - Winner of Sufia Ajmali Memorial Trophy 2018 for the 6th consecutive year for making maximum number of literates. The national mission of literacy is implemented in all earnestness and enthusiasm in Bhatnagar International School under which the school students teach the unlettered brethren of neighbouring areas. 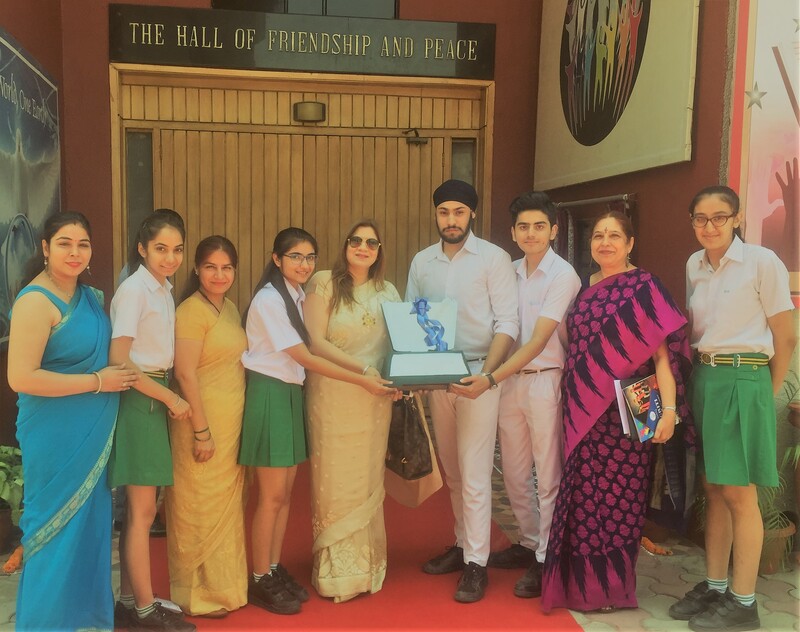 The school receives great impetus to work persistently towards this pioneer project under constant motivation of the Principal Ms. Shilpa Bhatnagar. She encourages all the students to serve the society selflessly and to lend a helping hand to the under privileged of the country. She firmly believes that education and learning is the best tool to dispel ignorance and literacy. 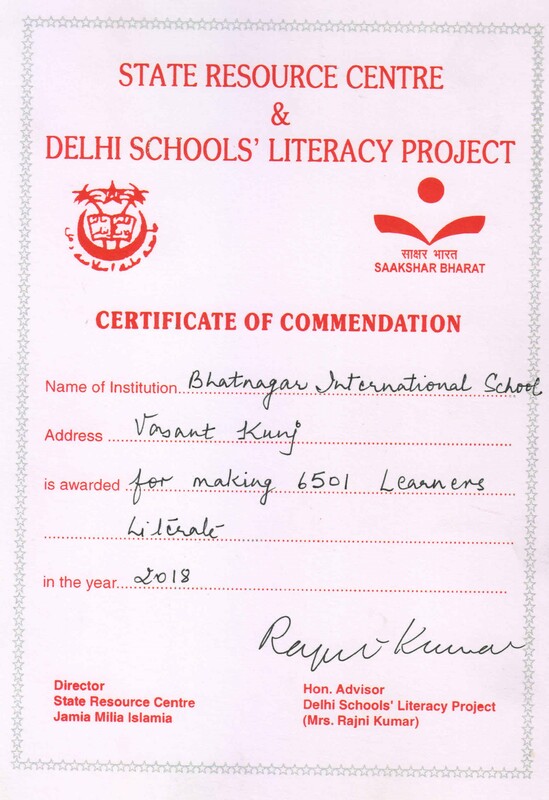 The Annual Award Giving Ceremony of Delhi Schools’ Literacy Project was held on 24 April 2018 at Springdales School, Dhaula Kuan , New Delhi. The Chief Guest of the function Smt. Salma Ansari , Spouse of the former Vice President of India and Chairperson, Al-Noor Charitable Society, Aligarh, gave away the awards to the proud recipients. The school won the Sufia Ajmali Memorial Trophy 2017-18 for teaching 6501 learners, the highest amongst all the 105 participating schools of Delhi. It is the sixth consecutive year for the school to be bestowed with this honor. Tavishi Bakshi of class XI received The Baldev and Kamala Bhatia Memorial scholarship of Rs. 1000/- for making 143 learners literate. Srishti Aneja of Class XI also won the Raj Mohan Kapur scholarship of Rs. 1000/-making 100 learner’s literate. The school was highly appreciated for its dedication and zeal for taking the sublime literacy mission forward. Compassion, empathy and generosity are the virtues imbibed in each student of the school. They were congratulated for showing unrelenting resolve in serving the society through the spread of knowledge. Congratulations to the Students, Teachers and Respected Principal Ms. Shilpa Bhatnagar.